The Great Gama, Ghulum Mohammed, was born around 1888 in Amritsar in the Punjab. In his lifetime, he became not only one of the most feared wrestlers in all of India... but one of the greatest wrestlers the world over. The Great Gama, also known as the Lion of the Punjab, died in Pakistan in 1953, and is still remembered as one of the greatest wrestling champions of all times. 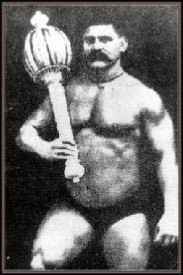 The Great Gama was born into one of the top wrestling families of India... and his training started at the age of 5 under his father. After his father's death, he continued to train under his grandfather and uncle, who pushed him to fulfill his father's wish of becoming a great wrestling champion. The Great Gama first became known at the age of 10 when he participated in a national physical exercise competition. This was not a wrestling competition, but rather and exercise endurance competition. Over 400 wrestlers from all over India gathered for a competition of bethaks, the fundamental conditioning exercise of Indian wrestlers. Bethaks are a form of bodyweight squat where the practitioner raises their heels off the ground in the bottom of the squat... allowing the knees to extend past the toes. After hours of competition, all wrestlers except Gama retired from the field and he was declared winner. No one knows for sure how many bethaks he performed, but he was bed ridden for a week... showing not only the physical strength of Gama, but also the mental toughness needed to be a great champion. At that time, Gama would routinely do 500 bethaks, 500 dands (a type of push up exercise for upper body strength) and dig in a pit with a heavy hoe. He would wrestle every day, even though he did not compete until he was 15. Very quickly, he was recognized as being virtually unbeatable. As he matured, Gama's daily training would increase to wrestling 40 wrestlers, 5000 bethaks and 3000 dands. There is some speculation as to the accuracy of these numbers... however, Gama's dedication to his conditioning and physical training, as well as the results he achieved, were never in question. The English writer on wrestling, Percy Longhurst stated, "The Indian system of training has results beyond the development of great strength; it creates most remarkable powers of endurance while at the same time increasing agility." The Great Gama won the title of Champion of India in 1909. He then traveled throughout Europe with a circus of Indian wrestlers, taking on all comers. Consequently, Gama defeated some of the most prominent wrestlers of the time. At one point, he laid down a challenge to all those that laid claim to the title of World Champion... including Japanese Judo champion Taro Miyake, Georges Hackenschmidt of Russia and Frank Gotch of the United States. The Great Gama returned to India a national hero. He continued to wrestle for 15 years. Although he had some draws early in his career, The Great Gama retired undefeated after an estimated 5000 matches. The life of The Great Gama is highly inspirational and motivational. However... some people have wrongly attributed his strength and endurance achievements solely to the bethak and dand. The truth of the matter is... he used resistance training of various types in conjunction with bodyweight calisthenics. For example, he would use a heavy stone collar around his neck while performing squats... and he would use a heavy Indian Club, known as a Gada to perform circular swinging motions. 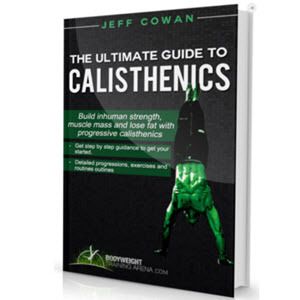 Nonetheless, his physical training is an example of the importance of bodyweight calisthenics exercise to a well-rounded, athletic fitness training program. Take these varied training methods and add a regimented diet, incredible amounts of skill training and unbelievable determination and you will be closer to the true "secret" to Gama's success. 1910 and 1928", Yugantar Punjab, Summer 2000. "Gama the World Champion: Wrestling and Physical Culture in Colonial India", Iron Game History, October 1995. The Wrestler's Body: Identity and Ideology in North India (Berkeley, CA: University of California Press, 1992). 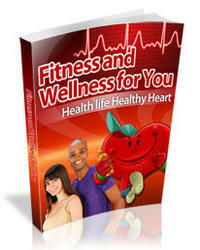 What is the great gama fitness? Did great gama stop exercising? How to Train: The Great Gama?